Dealer Q&A: How Many Facebook Pages Should I Have? Dealer Q&A: How Many Facebook Pages Should I Have? Dealer Q&A: How Many Facebook Pages Should I Have? 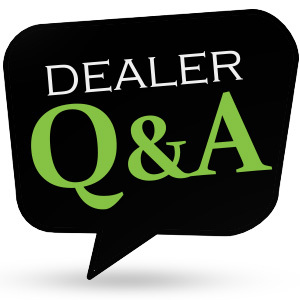 ARI’s director of digital marketing, Bill Wagner, answers real dealer questions in this new blog feature. Keep reading for Bill’s actionable advice on managing social media for multi-location dealerships. My dealership has five locations. I’m trying to find ways to improve my digital marketing strategy, and I’m really looking into social media. Right now, I have one Facebook page that covers all five of my stores. Would it be better for me to have five separate Facebook pages – one for each store? The answer to this question is usually no, and here’s why. If you look at the way large Fortune 500 brands handle this, all social media is typically conducted by the “mothership.” We typically recommend that multi-location dealers use the same practice and focus on one Facebook page. This allows you to focus resources and gather all of social media’s SEO benefits in one place instead of dividing it by the number of your locations. It becomes difficult to manage. You’re effectively multiplying the work by the number of pages. It’s confusing for customers. Unless the locations have very distinct differences, it’s usually a better customer experience if they can find your business in one place on social media. It makes it harder to generate the critical mass needed to really drive engagement in your marketplace. Social is a great place to drive engagement and get your customers talking about your business. The only way to do that is by being strategic and looking at your business through a 360 degree lens that takes all of your marketing channels into account, both inside and outside your brick-and-mortar location.